Upon meeting John Hutchings, it’s easy to classify him as an unforgettable character – one who loves public service, has a knack for eloquent analogies, will crack a joke out of left field, and will defend to the death that Popeye is indeed a superhero. He is also going on 18 months as the recently appointed Thurston County Commissioner for District No. 1. Born and raised in Los Angeles, Hutchings began his career in law enforcement working as a police officer in the 1980s in the City of Orange, a small bedroom community of about 200,000 people. 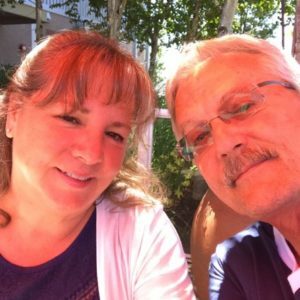 Hutchings met his wife Deb during college in Santa Ana and began to raise their two young children in suburban Orange County. But his wife, originally hailing from Portland, Oregon, had always wanted to move back to the Northwest. 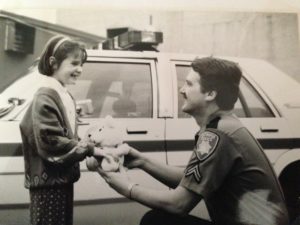 So Hutchings transferred to the Olympia Police Department in 1985, fell in love with the area and had a fulfilling 27-year career working for the OPD. 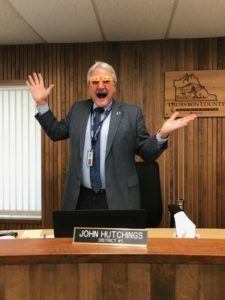 After a cancer scare in 2011 and a brief stint working with the Tenino Police Department in 2012, Hutchings was approached by several community members to run for the open Thurston County Commissioner District No. 1 seat, as current elected official Cathy Wolfe would be completing her final term before retirement in 2016. 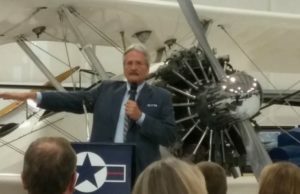 The option hadn’t crossed his mind, and after more research and reflection, Hutchings decided there was nothing holding him back from entering the political sphere. Hutchings not only had an outstanding reputation in the community because of his work in criminal justice, but also had a number of accolades under his belt, including a master’s degree in organizational leadership and development from Chapman University in 2004, receiving a Fulbright Scholarship in 2007, and publishing a comprehensive book in 2011 about the verbal de-escalation of mentally ill and emotionally disturbed people. Once Hutchings filed, he was “bowled over” by the outpouring of support from his community members, friends and family. This support came in the form of monetary donations, sign waving, doorbelling volunteers and continuous encouragement. Hutchings says it was an extremely close race, but it was the South County support that pushed him over the edge and into victory. Hutchings has now been in office for approximately 18 months, and credits his ability to work across the aisles of politics to a rich, extensive career in the police force. He also uses an analogy to explain his independent political affiliation. As a student of the profession, Hutchings says he operates in a very transparent government and that any citizens who are engaged and interested enough are able to be a part of and observe the political process taking place in their communities. Every Tuesday morning, there is an agenda setting meeting in the boardroom at the Olympia Courthouse where the three commissioners engage in discussion and debate regarding all issues affecting the community. The agenda setting meeting is then followed by the Board of County Commissioners (BoCC) meeting that afternoon at 2:00 p.m., which is always filmed and live streamed on Thurston County’s YouTube channel. 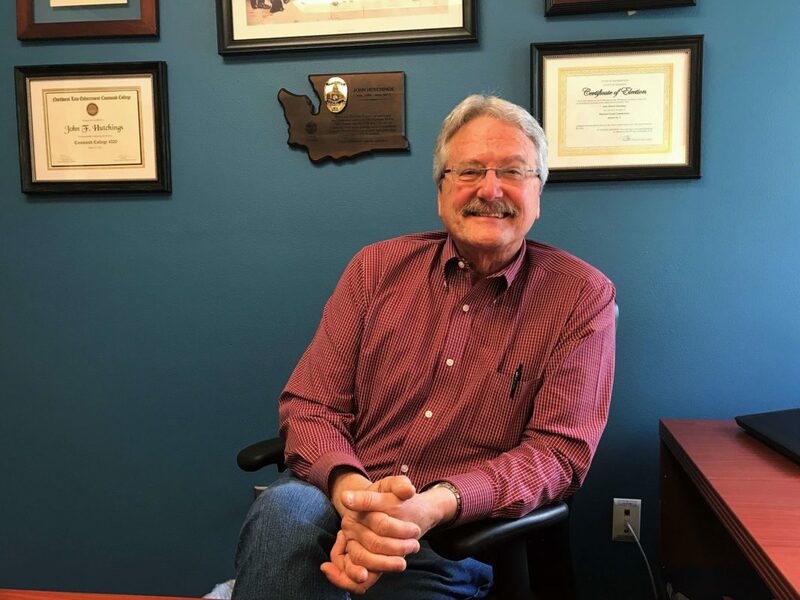 Hutchings says the biggest issues facing the community right now are habitat conservation, homelessness, restoring bridges, culverts and fish passages, finding the funds for a new courthouse, or what Hutchings calls a civic center and Courthouse, and of course maintaining the budget for all of these concerns. Trying to jockey the needs of each department and needs of the community is a constant balancing act, Hutchings says, and compares it to a mobile hanging over a baby’s crib. He says he doesn’t know whether he picked the job or the job picked him. John Hutchings can be reached via email or by contacting his assistant, Kelli Kennedy, at 360-357-2470.